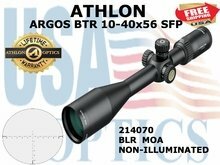 Argos BTR 8-34x56 - GREAT Scope !! 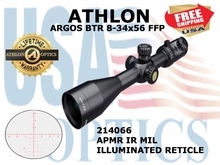 For those of you that are just getting started in the PRS or are looking to start, take a close look at the Argos BTR family of scopes. 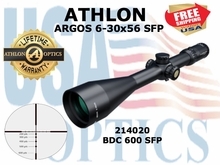 These scopes have features normally only found on high-end scopes. It has a 4x magnification that makes it versatile in multiple shooting disciplines. It has Advanced Fully-Multi Coated Optics that delivers a crystal clear bright image in dark environments. 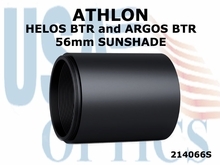 The Argos BTR also has exclusive XPL coating that protects your lenses from dirt, grease and harsh weather conditions. The 6061T6 aircraft grade aluminum tube will protect these world class optics no matter what punishment you throw at it. 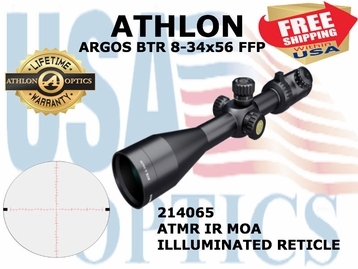 Athlon just didn't build the Argos BTR to just perform well optically they also built in features that make easy to adjust for any shot you have to take. 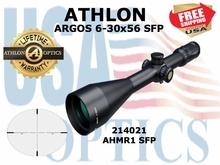 These scopes have Side Parallax Adjustment to give you the ability to adjust to any range right at your fingertips. 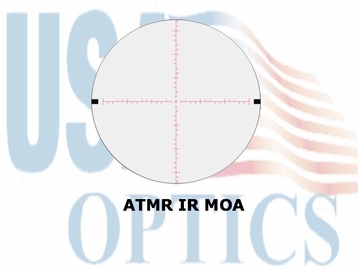 This along with the variety of first focal plane reticles give you easy elevation and windage adjustments.